Provide comfort for the family of Alice Krieger with a meaningful gesture of sympathy. Alice was born Sept. 20th, 1955 in Wichita, KS to Seth Lowe and Jeanette (Russell) Lowe. She worked as a CNA in nursing homes. She was a loving mother and friend to many. She enjoyed helping everyone who crossed her path. She enjoyed painting, drawing, music and life in general. She was very fond of backyard cookouts and would feed the entire neighborhood and the less fortunate. Alice was a very giving and forgiving person all the way around. She will be dearly missed by family and friends. She is preceded in death by her father Seth L. Lowe. Alice is survived by her mother, Jeannette Lowe; her siblings: Russell Lowe, Becky Epperson and Scott Lowe; her six children: Michael Krieger, Adam Krieger, Kelly Krieger, Jacqueline Krieger, Ashley Krieger and Anthony Krieger; nine grandchildren: Xavier, Brittany, Seth, Brooklyn, Keaton, Peyton, Marilyn, Gracelynn and Isaac, as well as, a lot of extended family. 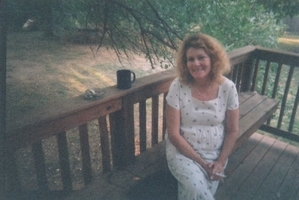 Provide comfort for the family of Alice Annette Lowe Krieger by sending flowers.